Unknown, Corine Ammerlaan. T: 0:50. A: 0. Imane Alou Issa walked, stole 2nd. Danielle ten Donkelaar flied out. Machteld Rector struck out looking. Afton Larsen singled, stole 2nd, batted forward to 3rd, tagged out going to home. Makayla Munchinski struck out looking. Sophia Piatt singled, stole 2nd, advanced to 3rd on passed ball. Eva Versloot struck out swinging. Manon van Alebeek struck out swinging. 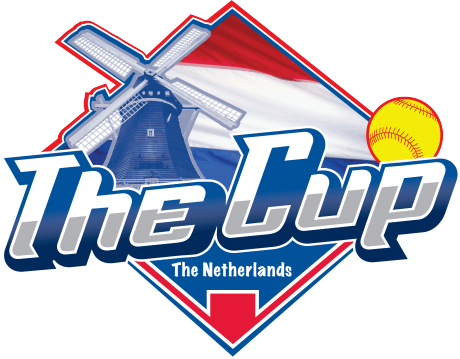 Romy van der Ham reached on error, batted forward to 2nd, advanced to home on error. Corine Ammerlaan singled, advanced to 3rd on error, batted forward to home. Anne Ketelaar reached on error, advanced to 2nd on throw, batted forward to home. Imane Alou Issa singled, batted forward to 3rd, forced out at home, 1 RBI. Tess Remmers walked, Ellinor Keepers ran for batter, batted forward to 3rd. Danielle ten Donkelaar walked, batted forward to 2nd, 1 RBI. Machteld Rector reached on fielder's choice. 3 runs, 2 hits, 2 errors, 3 lob. Emily Coggin walked, batted forward to home. Paiton Choy, Unknown Unknown ran for batter grounded out. Aidan Poliseno doubled, 1 RBI. Drucilla Hemrich struck out swinging. Romy van der Ham singled, batted forward to 2nd, advanced to 3rd on passed ball. Anne Ketelaar struck out swinging. Emma de Brouwer struck out looking. Makayla Munchinski singled, advanced to 2nd on passed ball, batted forward to home. Eva Versloot grounded out, 1 RBI. Emily Coggin struck out swinging. Ellinor Keepers struck out swinging. Machteld Rector singled, batted forward to 2nd. Romy van der Ham popped out. Aidan Poliseno walked, batted forward to home. Kelsi Rice singled, advanced to 2nd on passed ball, batted forward to home, 1 RBI. Afton Larsen intentionally walked, batted forward to 3rd. Makayla Munchinski walked, batted forward to 2nd, 1 RBI. Sophia Piatt singled, 1 RBI. 3 run, 2 hit, 0 error, 3 lob.